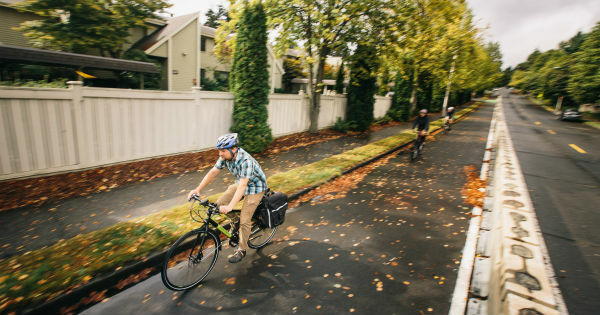 The PeopleForBikes Green Lane Project has been a five-year mission to accelerate the spread of protected bike lanes throughout the United States. Today is the project’s final day. 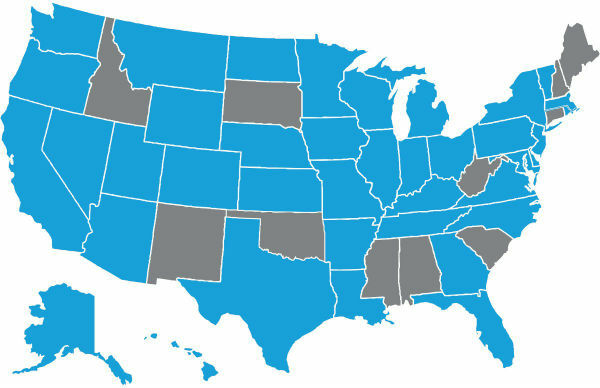 Protected bike lanes can now be found in the states highlighted in blue. It’s not that protected bike lanes are everywhere; far from it. The new project we launch tomorrow — more on that in a bit — will help them continue to spread. But the whole point of having a project with a narrow, carefully chosen mission is that you can’t move on to your next goal until you’ve achieved your first one. So to commemorate the end of the Green Lane Project, we’re looking back on four moments when we knew our work was paying off. Source: Green Lane Project inventory. History is full of trends that look inevitable in retrospect. It’s also littered with the remains of good ideas that never took off. When Martha Roskowski and Randy Neufeld conceived the Green Lane Project in 2011, it was because they wanted to make sure protected bike lanes were the first sort of trend. According to the study of innovation, the most dangerous period in the life of a new idea is just after a handful of risk-takers start to use it. If the idea doesn’t spread from there, it withers. Look closely at the chart above, and you’ll see that 2013 might have been just such a moment. New York, DC, San Francisco and Chicago had built a string of protected bike lanes in a burst, but few cities had followed. Across the country, just 24 new protected bike lanes opened that year. 2014 turned that around. The cities that opened their first protected bike lanes that year included Akron, Ohio; Ogden, Utah; and Manhattan, Kansas. Protected bike lanes weren’t just a curiosity found in the most bike-friendly cities; they had drawn the attention of forward-thinking street designers everywhere. In early 2013, the Green Lane Project circulated a survey to staffers in 103 cities around the country, asking how the federal government could make their work easier. 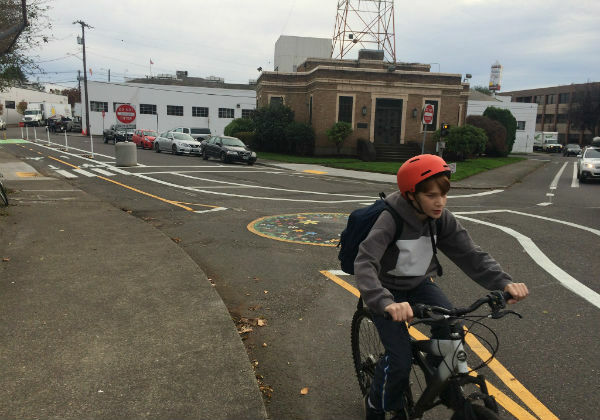 It revealed widespread sentiment that the federally endorsed bikeway design guides didn’t offer enough guidance for protected bike lanes, bike signals, and other facilities — even though more than half the cities were already building them. 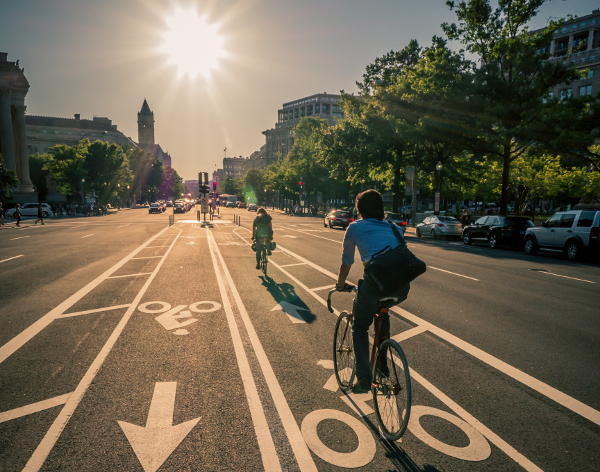 The survey led to a meeting with top federal officials, which led to a rapid federal endorsement of the NACTO and ITE guidebooks for protected bike lanes, followed by the 2015 publication of a guide to the designs from the Federal Highway Administration itself. Those actions gave crucial reassurance to thousands of American street designers that the protected bike lane was a useful tool, as Colorado Bicycle and Pedestrian Section Manager Betsy Jacobsen predicted at the time. NE 21st Avenue, Portland, Oregon. When cities start asking themselves, “Should we add protection to this bike lane?” that’s progress. But when they’re asking themselves, “Is there a good reason not to add protection to this bike lane?” that’s victory. Protected bike lanes will never work in every situation. But to fulfill their potential, protected bike lanes will need to become something that street engineers assume they’ll need to find room for — and omit only if necessary. In 2015, Memphis’s Complete Streets Manual made buffered or protected bike lanes the default design on major streets. Later that year, Portland approved a policy that every new bike lane would be protected unless project managers could justify otherwise. Good ideas are contagious. Washington County, in Portland’s western suburbs, approved a similar policy just last week. 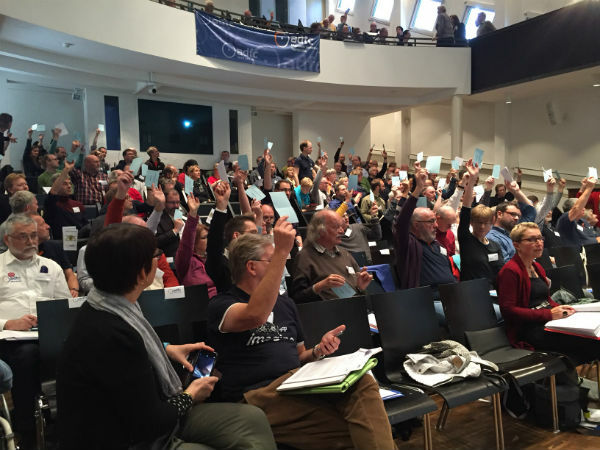 German Cyclists’ Union members at their 2016 annual meeting. From railroads to freeways, Germany has been a global transportation leader for more than a century. And German cities are already some of the world’s most bike-friendly outside the Netherlands and Denmark. But Germany has struggled to start building attractive, modern versions of one of their neighbors’ key tools: the protected bike lane. So we were honored when the German Cyclists’ Association, ADFC, invited Roskowski to keynote their 2016 annual meeting last fall and talk about the Green Lane Project’s strategy. Roskowski told the German advocates the same thing she tells U.S. audiences: that the Green Lane Project was just a necessary step on a long journey. This brings us to the news we mentioned at the start of this post. Today, we conclude the Green Lane Project. Tomorrow, we’ll start a new, broader initiative: PlacesForBikes. It’s a program to help cities quickly build and connect great places to ride. PlacesForBikes will include a Green Lane Project-style program for leading cities called The Big Jump. It’ll also create a new data-driven system for rating U.S. cities based on their bikeability. Through it all, we’ll be applying our lessons from the last five years. We’ll have more to say tomorrow, so stay with us. There are many more victories ahead. You can follow PlacesForBikes on LinkedIn, Twitter or Facebook or sign up for our weekly news digest about how to build for better biking.